The Toronto Modern Quilt Guild is holding our first ever Block Lottery or quilt swap. Berene brought in a few blocks she made using the Pick-up sticks design. She used bright solids on Kona Snow. They were gorgeous. 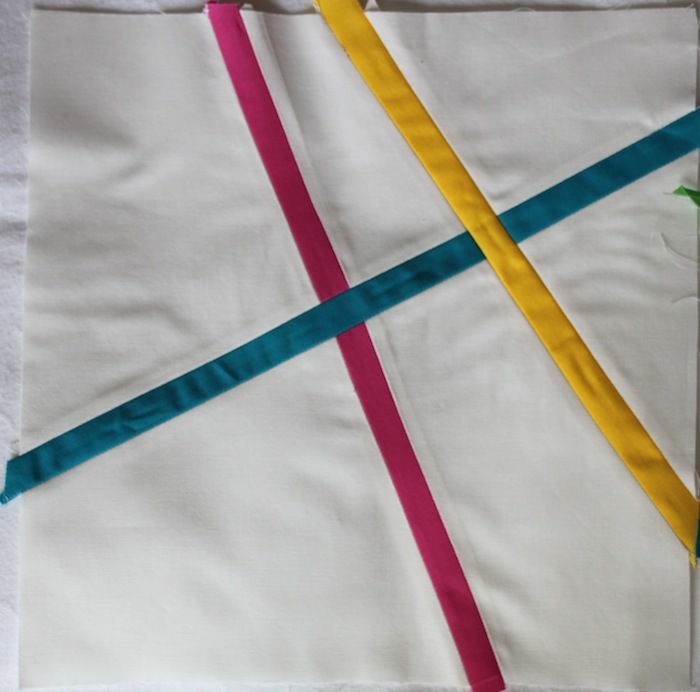 Berene of Happy Sew Lucky created a great tutorial for us to follow. For every block a person brings to our June meeting, they will have one chance to win all the blocks. If there are many blocks, they may be divided into two piles with two very lucky winners. I made two blocks. The first block has three sticks and after finishing it, I realized I should have starched the initial square before beginning. All the cuts are on the bias and therefore have a tendency to stretch. Starching would help prevent this. I starched the second block and found that it did help in preventing stretch. All the seams are pressed open and this second block has four sticks inserted. Both blocks need to be trimmed to 9 1/2 “. 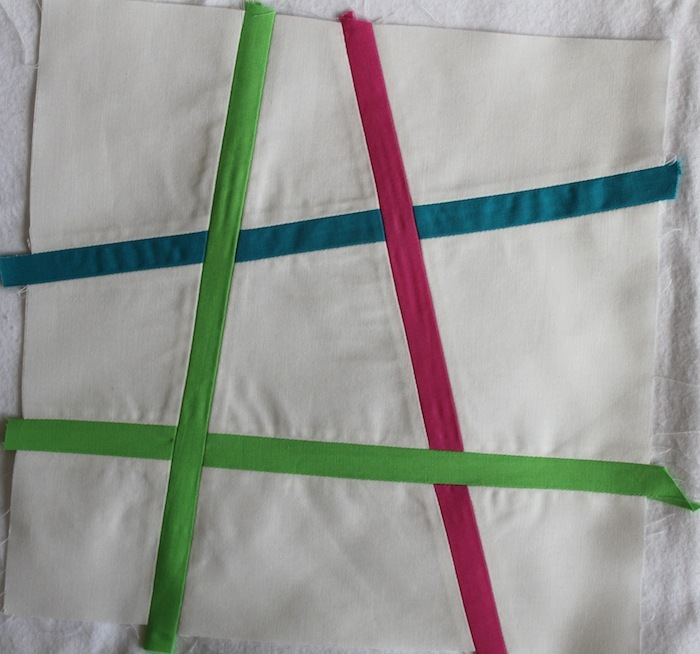 The lucky winner will have a great start to a fun modern quilt. Looking forward to seeing all the other blocks. Well that was speedy! These look great, Doris. Good tip to use starch if your blocks starts to get stretchy. Was inspired after our last meeting and made these up quickly. I just need to trim them to size.